Houghton, Arthur A., and Catherine C. Lorber. 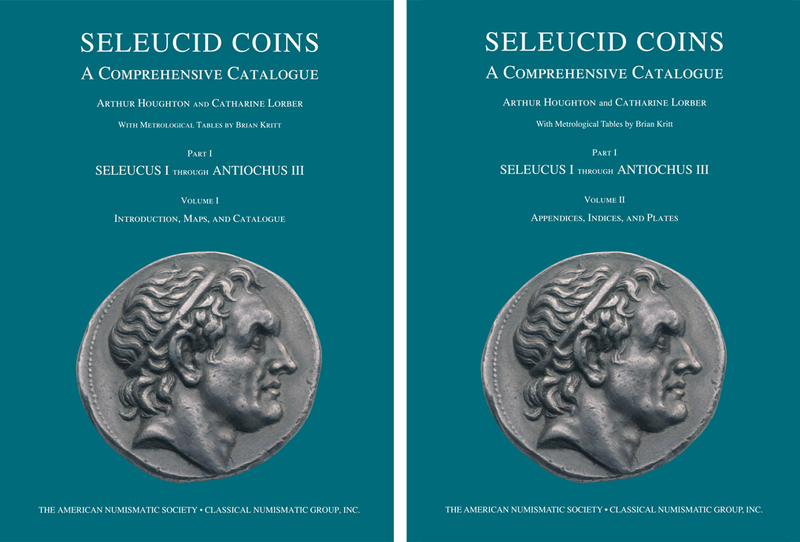 Seleucid Coins: A Comprehensive Catalogue. Part I: Seleucus I through Antiochus III, 2 vols. 2002. Hardbound. 788 pp., 97 pl., illustrating over 1200 coins. (GR) (GR186). Postage and handling rates shown on web generated orders do not apply. We will confirm postage and handling upon receipt of order and confirmation of shipping method. Winner of the 2003 IAPN Book of the Year Award.